The repetition of a single, solitary number within a figure like 20:00 on your watch is always somewhat surprising, especially after looking at the time involuntarily and without express intention, but it is even more surprising when this same thing happens several times in a row. Take note that when it shows us these mirror hours, it is the universe itself that is talking. It uses logical symbols, these numbers, in a subtle way which can lead to feelings of surprise and resonance. These feelings indicate a message that was intended specifically for us. If the triple mirror hour appears before you regularly when you look at your watch, do not ignore it because this hour holds a message. In general, this hour signifies that now is the time for premonition, learning, spirituality, charisma, willpower, independence, fulfillment, exploration, and more. 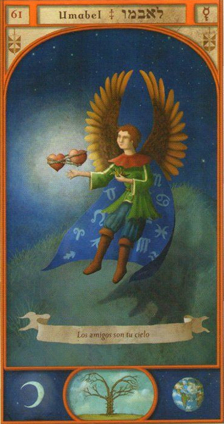 For further clarification you can make use of an interpretation of the guardian angels or an analysis of numerology. Angel of detachment, Umabel will help you in your study of astrology, astronomy, and physics. Through the triple mirror hour 20:00 he is telling you that he will permit you to understand the nature of consequence. With him you will find it easy to grasp the similarities between the earthly world and the universe as well as all the other planes of creation. He will also give you his help in the field of technology. Umabel is also the angel of friendship and affinity. He is beside you to help you to easily weave the bonds of friendship with those around you. What's more, he will provide immense support when you encounter the pain of love. If you are having trouble making friends, he will help you to have a better social life. He is also there to help reinforce your connections with others. By showing you the triple mirror hour 20:00 on a regular basis, this guardian angel who is your patron and protector is indicating that he will support you in penetrating the mysteries of your subconscious and conscious minds in order to find out your true motivations. He will give you the opportunity to discover the unknown world beyond that of which you are familiar. However he will also protect you from any pursuit of notoriety or recognition. Through the triple mirror hour 20:00 the guardian angel Umabel is also letting you know that he will give you the ability to teach others and to pass along all the things you have learned. He will be the ultimate source of help if you work in the field of teaching. He will protect you from false or poorly-skilled instructors, educators, and pedagogues. He will also protect you from egocentricity and feelings of anti-conformity. Umabel also wants to tell you that he will keep you from taking any steps which will lead you back towards the past. He will keep you from feelings of nostalgia as well as attachment to concepts from the near and distant past. He does this because he knows that these things stop you from moving forwards and finding the happiness that you deserve. Furthermore, he will help you if you are having problems concerning drugs. 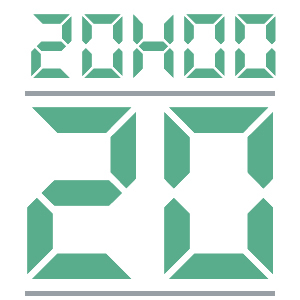 What does 20:00 mean in Numerology? When the number 20 is connected with the triple mirror hour 20:00 it points towards transformation, change, and improvement, while also bringing with it positive steps in the right direction. It is also letting you know that it will bring you a powerful form of mental transformation or material improvement, but the positive effects of this number will not come to pass without a certain amount of effort from you first. The angelic numerology of this number will also help you to find practical solutions to all the problems which are stopping you from moving forwards. It will improve your intuition and help you to develop your sense of responsibility while also giving you a great ability to think things over and call things into question. You should also know that the number 20 guides you in unexpected meetings of an emotional nature, but that it can also lead to a certain amount of fragility which you would do well to be aware of. The angel number 20 also represents emotion, association, partnership, balance, and company. When connected with the triple mirror hour 20:00 it will bring you many positive things but only so long as you know how to control and contain it. You have the potential to lead a happy and fulfilled life, but that depends solely on you. In numerology the number 20 reminds you that you have a natural gift of kindness. You like to come to the help of others without seeking compensation or reward. You like to feel useful and being surrounded by likable people. You are also a very considerate and affectionate person and have no problem making friends. You don’t like being alone and you feel secure and in control when your loved ones are beside you. You enjoy change and novelty and the numerology behind this number encourages you to continue on this path towards your own fulfillment. You like meeting new people and you like it every time you experience something new. You are a lover of life and nobody can take that away from you. 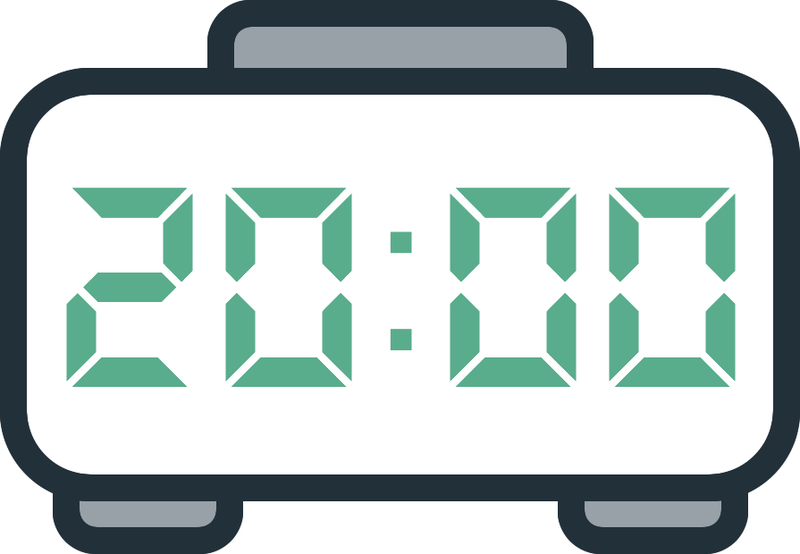 Any comment on the 20:00 mirror hour?